As much as I have tasted Riesling, Pinot Noir or Bordeaux from cask, it has never been a tradition in Piedmont to show young wines, especially Nebbiolo, before they were bottled. Only since I have taken a flat in Serralunga d'Alba and put my 'worst' foot forward, have I had the opportunity to parse Barolo in infancy. Recently, I spent an afternoon with Luciano Sandrone looking at 2011, 2010, 2009 and 2008, including the component pieces for Le Vigne. 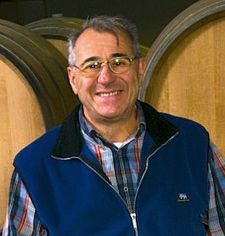 As he only recently purchased vineyards at the Baudana site in Serralunga, 2011 was the maiden crop. Since 2010, he also has a seemingly excellent parcel in the Villero vineyard in Castiglione with great potential. As much as we all rightly speak about Cannubi, I was also quite impressed by the Nebbiolo from Vignane - an important part of the final Le Vigne blend - from both vintages. The succulent 2009s were already assembled and the more austere 2008s bottled. Equally interesting were the two wines from his experimental Talin vineyard in Barolo, where he has planted a specially selected clone of Nebbiolo that has smaller bunches, tinier berries and less juice, rendering a darker even more tannic wine. The yields are so low that a green harvest is never necessary. For the moment, he does not incorporate it into Le Vigne. We even tasted the bitter, herbal press wines that he only adds to the blend in microscopic quantities, if at all.